 Trivia: Jeff and Porky's cave was the former Red Hill Lead Mine. One the puppies, named Humphrey, is adopted by a little girl named Nancy, who seems to be a friend of the family. When Jeff and Porky see bull terriers, one of whom attacks Lassie, leashed to a station wagon parked in a clearing on the way to go fishing, Gramps investigates the dogs' owner and suspects illegal dogfights are being held in the area. Clay: Richard Garland. Mr. Curran: John Pickard.  Trivia: Jeff, like Timmy after him, likes to build airplane models. He's building a biplane in this episode. The Carey barn rental is unsavory from the start: it's rented to Curran by Emmett Carey, who in a later episode will try to have Lassie destroyed. The dog who attacks Lassie is named Ringo.  Note: This is a remarkably modern subject, given the furor existing today about the "ferocity" of pit bulls; at the end, Gramps proves to Jeff that no animal is all bad, and cites the people training the dogs as being the evil ones. Do note that the dogs in this episode, however, are not pit bulls, but bull terriers, a completely different breed from the "bully" breeds maligned today. When Lassie finds a litter of abandoned kittens, Jeff is horrified when Gramps wants to drown them because they will otherwise starve without their mother. His attempts to find some way to feed the kittens, including a surrogate mother cat, are unsuccessful. Dr. Frank Weaver: Arthur Space. Laura Purdy: Madge Blake.  Trivia: The Millers used to have a horseplowhorse, probablynamed Old Bess. Porky enters Lassie in the Capitol City Dog Show obedience trials without knowing what Lassie has to do, but Jeff finds out what's involved and trains her. When the boys arrive at the show (after having to re-groom Lassie after she sneaks out during the night and comes home full of mud and burrs), Porky befriends a basset hound also entered in the contest. Joe King: Trevor Bardette. Pokey's Master: Don Beddoe.  Trivia: "Pokey's" owner bought the dog for $300 as a hobby after his doctor told him to relax. Other competitors in the contest are a Doberman, a cocker spaniel, a Shetland sheepdog, a beagle, a Dalmatian, some type of drop-eared hound, a Great Dane, and a white standard poodle, who is tied in score with Lassie at the end.  Note: The name of the city is alternately spelled "Capitol City" and "Capital City." This episode introduces Porky's basset hound Pokey, AKC registered name "Pokerman III." Don Beddoe will later play Mr. Cuppy, the iceman, in the sixth-season episode "The Refrigerator." Jeff, Woody, and some of the other children are excited about the new schoolteacher, until they find out Miss Vernon does not want their dogs lying underneath their desks during the school day as was done previously. When the dogs are taken out, they chase a rabbit under the schoolhouse and precipitate a racket, and Porky, Jeff, and Woody are kept after school. An angry Woody is determined to do something about it by planting a snake in her deskbut he gets more than he bargained for when he sneaks into the schoolhouse that night. Miss Vernon: Phyllis Coates. Spike: Judy Nugent. Woody: Eric Neilsen.  Trivia: The old teacher was Miss Robins, whom we met in "Arithmetic." Spike's real name is Susan Ames. Jeff is in seventh grade, Woody is the entire eighth grade. Incidentally, Woody's last name is Tompkins, but we don't learn that until the third season episode "Goats." Spike introduces some of the dogs: Sport (who may belong to her); Winky, a small black-and-white dog who belongs to a girl with short dark hair, and Sam, a lop-eared hound type. Ironically, we never find out the name of Woody's dog, which looks like a small bearded collie type mixed breed. There's also a "yellow dog" type mixed breed as well as a larger, black-and-white dog in the group who seems to be named "Spot."  Note: "Sport" looks like the dog who later plays Spot, Butch, and Ruff. Miss Vernon looks like she was given one of Lassie's puppies! Miss Vernon is played by Phyllis Coates, who was the original Lois Lane on television's Adventures of Superman.  Humorous Scene: Jeff is spelling a word when the dogs chase the rabbit under the schoolhouse and all of the kids rush to the window to see what is happening. Over the din of barking, Miss Vernon asks what's going on and Jeff tells her, but she can't hear him, so he repeats "A rabbit. R-A-B-B-I-T. Rabbit." Jeff teaches Lassie to howl when he plays the violin, hoping to get out of lessons, but Ellen sees through the scheme and demands that he continues lessons. But his performance at his tutor's home is so bad that the man dismisses him. Gramps then tells Jeff he has a plan to help him, but it isn't quite what Jeff expected. Francis Butterfield: Lucien Littlefield. Slim Hawkins: Earl Hodgins. The "monster" at the lake turns out to be a sealwhich the family adopts and Jeff names "Joe," to Ellen's dismay. When she has friends over one Saturday, the boys and Gramps attempt to get the seal out of the house without them noticing! Clara Parr: Kathryn Shelden. Louise Ross: Almira Sessions. "Nanook's" Owner: Bob Bice.  Trivia: Ellen says Jeff has nursed a "sick rabbit" and a "crippled crow."  Note: Funny scene with Clara and Louise complaining about each other's shortcomings to Ellen. Clara calls Jeff "Jefferson." In this episode, the far wall of the parlor is shown to have a window in it, as Gramps can be seen in it. This window never appears in any other episode. The boys suspect that an eccentric old woman who still travels with a horse and buggy and who makes jellies and grows herbs is really a witchand when Lassie is stricken with a mysterious illness, they think she's put a spell on her. Sarah Dibbles: Gertrude Graner. Doc Weaver: Arthur Space.  Trivia: Sarah has a cat named Mr. Smith; her white horse appears to be named "Satan." One of the boys' classmates is a Bert Pulley.  Note: Wait, here Porky says Woody's last name is Douglas, but in "Goats" it's Tompkins. Note the broadcast date: this was the only Jeff Hallowe'en episode. After a storm Jeff finds and nurses a wild duck that he names "Medwick" (after baseball player "Ducky" Medwick), then frees him in a posted marsh, where he and Porky see two men not only killing ducks, but shooting more than the limit as well. Doc Weaver: Arthur Space. Clay: Richard Garland. With John Cliff as the unnamed hunter; the shorter man is named Al, but is uncredited.  Trivia: Mrs. Weaver's name is Nora.  Note: Ah, yes, and you, like Ellen, may have a "pie in the oven" <g> (a very funny scene in which Jeff asks his mother if she thinks Medwick would prefer to be free or "have a hen"). Jeff and Gramps are dismayed and resentful when Clay Horton asks Ellen out to go dancing and to dinner to celebrate his birthday, and Ellen decides to go, in part because of their attitude. When he realizes his mother really is going out with the handsome constable, Jeff decides to take matters in his own hands with Lassie's help. Clay: Richard Garland. Delivery Boy: Ken Osmond. Janie Taylor: Terry Ann Ross.  Trivia: Jeff calls a Mr. Scott at "the Chronicle" to put in his classified ad; not sure if this is the Calverton Chronicle as in later episodes.  Note: This is the only episode that focused the obvious attraction between Clay Horton and Ellen. The series later played down this relationship and, indeed, may have even demoted Hortonin several later episodes he is working at the town garage! This is the first of three appearances by little Janie Taylor; Jeff is reading her The Three Musketeers when she really wants to hear The Three Bears. And yes, that's the Ken Osmond, the infamous "Eddie Haskell" from Leave It to Beaver. He appears in two more Lassie episodes. He's evidently a friend of Jeff's as he calls him by name. When the boys come into possession of a mimeograph machine, Jeff comes up with the idea to start a newspaper to compete with the Calverton Chronicle, and he and Porky take out a loan for supplies using Lassie as collateralbut the material they print about possible graft in building a war memorial gets them into hot water with the judge and Gramps. But is there some truth to what they imply about the two men building the war memorial? Judge Amos Porter: Forrest Taylor. Mr. Travers: Leonard Penn. Phillipe Doutant: Gregory Gay. Hank Fuller: Harry Harvey (uncredited; per the IMDb).  Note: Another appearance of the boys' cave. 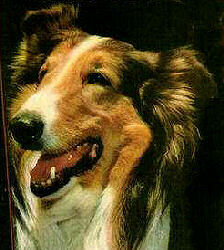 A terrier named "Squeaks" leads Lassie to an unconscious man: Tops, a circus clown stranded by his manager. In return for the Millers' hospitality, Tops will entertain at the church carnival with help from Jeff and his friendsbut a sullen Higgy, turned down for the ringmaster's job, makes trouble. Tops: Ralph R. Moody. Grace: Dorothy Granger. Higgy: Stuart Torres.  Trivia: Tops learned his craft in Germany and has been a clown for forty years.  Note: The terrier playing Squeaks appears to be the dog who played Boomer's dog "Mike" in the Timmy. This dog also played "Cinders" on the Casey Jones series starring Alan Hale Jr. If I had a name like "Higstrom," I'd probably be a troublemaker, too! Jeff: "Every year Gramps promises me a bull calf, and every year I don't get it." Gramps: "I'll get you one when you're sixteen." Jeff: "Sixteen! Why does everything have to wait until I'm sixteen? You say the same thing about driving, about going deer hunting, and about taking a canoe trip. Mom says the same thing about staying up late and drinking coffee. By the time I get to be sixteen, there'll be so many things to do I won't have enough time to do 'em!" When Jenny telephones warning the neighboring area of an approaching storm, the Millers batten down the hatches. But odd noises and news of a downed power line send Gramps out into the thick of the fury.  Trivia: Twin Forks and Medford are two towns near Calverton.  Note: Looks like the "closet" door in the hall next to the kitchen door is actually the door to the cellar. In the Martin episodes the cellar looks substantially smaller, and only has one entrance, from the outside (not to mention that the "cellar door" turns into a window). Gramps seems to have forgotten his birthday, so Jeff and Ellen keep mum while secretly planning a surprise partybut Jeff and Porky's efforts to help Gramps while keeping him away from party plans only frustrate the older man when they keep doing everything wrong. Clay: Richard Garland. Matt Brockway: Paul Maxey.  Trivia: Gramps' birthday is on the 22nd, although we are not told which month. Everyone is in shirtsleeves, so it must be spring, summer, or early autumn. However, if we go by a 1955 calendar, there were only two 22nds of the month on a Saturday, January and October. If Gramps was the same age as George Cleveland, he would have been�70 on his birthday. However, Cleveland's actual birthday was September�17. Tina, a gypsy girl, and her family camp on the Miller farm; Ellen says they may stay while Gramps blustersand then Jeff's colt Domino disappears and, after being returned by Tina, becomes seriously ill. Tina: Reba Waters. Tina's Mother: Gloria Saunders. Grappo: Steven Garey. Bakka: Edmund Hashim.  Note: Jan Clayton sings a little in this episode, a song called "Marushka"; Clayton was an accomplished musical actress and originated the role of Julie Jordan in Rogers and Hammerstein's Carousel. After Gramps lectures Jeff on wasting time after the boy finds a stereopticon set in the barn, a television set meant for the Brockways is delivered to the Millers. Gramps, secretly intrigued by the contraption, turns it on when Ellen and Jeff are away, and the screen image excites Lassie, causing her to jump at the set and break it. Repairman: Hal K. Dawson. Cal Hubbard: Paul Wexler.  Trivia: Matt Brockway's brother lives in Creston. Birdie Brockway's family lives in Victor Falls. The television station Gramps tunes in is WWCR, which indicates that Calverton is located east of the Mississippi River.  Note: This was the only time you saw a television on one of the farm episodes; it was implied that the Millers bought a set, but you never saw it again. Despite being telecast on Christmas day, this was not a Christmas episode. When the boys spend too much time with a new stamp album, especially when they think they may have a $200 stamp, a neglected Lassie makes off with the book. Ellen is then dismayed when Jeff won't allow Lassie back into the house until she returns the album. Ed Higgins: William Challee. After Lassie is caught by the Capitol City dog catcher, friendly Joe Hofstedder, Jeff discovers that fifteen dogs are due to be put to sleep soonso he tells Joe to bring them to the farm where he can find homes for them. Joe: Oliver Blake. Pound Secretary: Joan Sudlow. Janie Taylor: Terry Lee Ross.  Note: The truck full of dogs that Hofstedder brings includes the little dog who plays "Squeaks" and later "Mike," and the short-legged dog who later appears as "Spot," "Ruff," and "Butch" in the Timmy episodes, and who was one of the dogs in "The School." Matt Brockway says Pokey is useless and tells Porky he is going to give the dog away and get Porky a "real dog" like an Irish setter unless the boys can teach him something. But Pokey fails miserably at every effort. Brockway: Paul Maxey. When Gramps refuses to sell the farm to nasty Emmett Carey (the nephew of the man who left Lassie to Jeff), young Edgar Carey pretends that a barbed wire scratch he got in the barn is Lassie's bite, figuring the Millers will give up the farm before giving up Lassie. Emmett Carey: Everett Glass. Edgar Carey: David Kasday. District Attorney: Robert Cornthwaite. Clay: Richard Garland. Caleb Brown: Will Wright. Henry Wheatley: John Harmon. Spike: Judy Nugent.  Note: Lassie is tried in Creston, which is the county seat. Ellen is suspicious at Jeff and Porky's secrecy, especially when Porky asks for raw meat. It turns out they have been treating and training King, an injured red-tailed hawk that Lassie found. Against Gramps' objections, Ellen allows him to keep the hawk as long as certain precautions are taken. Then a chicken is attacked in the barn.  Note: This is an episode that pulls no punches. In a later episode it might be found out that the actual chicken killer was a weasel, or the hawk might get taken to a sanctuary (today, that's what would happen). In the fifties, however, for the farmer this was the only realistic answer. Jeff and Porky quarrel after Pokey starts howling at the moon during their first campout in their new treehouse, and Jeff throws his best friend out. When Jeff returns to the treehouse, he finds it a shambles and blames Porky, who vowed revenge. Brockway: Paul Maxey. The boys sail their newly-built raft to a local island where pirate treasure is supposedly buried (in reality, Gramps made the map so the boys could have an adventure). But a fierce thunderstorm turns the imaginary adventure into an all-too-real one. When Gramps and Ellen tell him that Lassie is going blind, Jeff takes the dog on a long journey to the hospital in Capitol City to find the doctor that can restore her sight. Dr. Elwood Mason: Paul Cavanaugh. Secretary: Ann O'Neal. Doc Weaver: Arthur Space. Jeff, practicing to be a veterinarian, hides the fact that one of his ministrations frightened the family cow enough to make her not give milk. Then he compounds his error by trying to cure his medical meddling. Doc Weaver: Arthur Space. 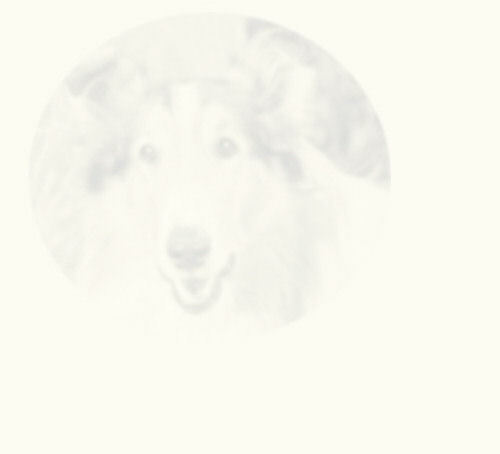 Ellen accidentally brings home a valuable champion collie named Chester from a church bazaar rather than Lassieand the people caring for the dog consider the Millers responsible when the dog wanders away. Birdie Brockway: Marjorie Bennett. Harry Houston: Milton Frome. Ida Houston: Vera Marshe.  Trivia: In 1892, Gramps and Charlie Stevens won the three-legged race at the county fair. A couple named Clare and Jim own Chester. Jeff has agreed to babysit little Janie Taylor, forgetting that he and Porky were offered a ride on some road construction equipment. When the boys leave her in the care of Gramps, Janie runs after the boys and into the path of the equipment. Janie: Terry Ann Ross. Ken Hubbard: Frank Gerstle. Gramps and Ellen return home to find Lassie leashed in the barn and Jeff nowhere to be seen. When the upset boy returns home, Ellen does some detective work and discovers that the mother of Jeff's friend Billy Watson was badly injured in a car accidentand now Jeff is terrified something will happen to members of his family. Jenny: Florence Lake. The Sunday school pupils vie among themselves to earn money to help young flood victims, but a classmate is deresive when Jeff says he earned two dollars, but lost it. Miss McLellan: Jacqueline Holt. Harry Connors: Stuffy Singer. Diane: Gay Goodwin.  Trivia: The instructor says if there was a disaster in Calverton the nearby cities of "Crescent and Capitol City" would come to their aid. The flood has occurred in "the northern part of the state" which is "far away."  Note: Harry Connors is one of Jeff's classmates that appears in the two Jeff Whitman novelsbut he's a lot nicer in the books! There is a girl named Diane, played by Gay Goodwin who played the role through the end of the series, in the Sunday school class, but chronologically the Diane character isn't introduced until the last episode of the season. Evidently this was filmed after "Diane."  Additional Note: What a hard-hitting episode! When Jeff caves into Harry's taunts and accepts his bet that unless he can earn another two dollars to replace the money he "supposedly" lost, Harry gets to keep Lassie, Ellen won't loan Jeff the money to get Lassie back! She insists he learn his lesson about taking dares, lets Harry keep Lassie for a week while Jeff does chores for money, and only offers him the remainder of the cash he needs to make the two dollars when it looks like he really will lose her. Jeff feels bad for a new classmate who is lame, and whose father lost their farm after his mother became sick, but grows uneasy when he suspects the boy's father is jacklighting deer. Jim Correy: Scott Correll. Mr. Correy: Robert Wilke. Clay: Richard Garland. A disreputable horse breaker tells Gramps that Domino is vicious, even though Jeff has secretly ridden the colt twice, and offers to swap him for a gentled mare. When Gramps decides to take him up on the offer, Jeff hides Domino in the woods. Clem Wyatt: Francis McDonald. Clay: Richard Garland. One of Lassie's puppies, Comet, given to a family in Creston who abandoned him and who was then abused by a caretaker, has returned to the Calverton area, wild and killing local farmers' stock. When the Millers try to rehabilitate him, Jeff is sorely disappointed. Lem Boots: Strother Martin. Doc Weaver: Arthur Space.  Trivia: Comet belonged to the Redfields. Jeff and Porky raise a calf they dub "Outboard" in honor of the motor they plan to buy when they sell itbut they don't count on becoming attached to the animal. Dan Cooper: Steve Darrell. Mr. Kimball: Alan Reynolds.  Trivia: The outboard motor is at Thompson Hardware in Capitol City.  Note: There's a nice scene of time passing here; they evidently get the calf in late summer/early fall, since you see a montage of leafless trees, snow-covered hills, the thaw, and then growing corn. Gramps blames Lassie's son Laddie's sudden and serious illness on the spray used by a local crop duster, who insists the insecticide was not the cause. But Gramps insists it was Steve's fault, and even Jeff starts to waver, even when Steve rushes Laddie to the vet. Steve Talbot: Ross Elliot.  Trivia: Gramps' gopher poison, containing strychnine, poisoned Laddie. Jeff persuades a neighbor to buy Yank, a Doberman Pinscher, a rehabilitated war dog, only to have the dog exhibit aggressive behavior to its new owner. The farmer is determined to destroy the dog, but Jeff hides him to find out what prompted the attack. Joe Brown: James Griffith.  Trivia: Joe Hofstedder, the Capitol City dogcatcher in "The Dog Catcher" is referenced in this episode as having sent the dog. When the Millers are invited to a relative's wedding (Millie Bradford, who's Jeff's second cousin once removed), Ellen has to persuade Jeff and Gramps to attend. After she convinces them, she next has to fight over a trip to the barber shop. Anne Bush: Isabel Withers. Hardware Store Clerk: Clarence Straight.  Note: This is the same small town set which appears in "The Dogcatcher." Ellen's plan to introduce Jeff and Porky to a new girl in town backfires when the manipulative child flirts with Porky until he and Jeff fight. Diane Carroll: Gay Goodwin. Birdie Brockway: Marjorie Bennett. Mrs. Carroll: Alene Towne.  Note: Towne plays Miss Vernon, the schoolteacher, in a third season episode. Frankly, this episode is not one of my favorites; girls are portrayed as selfish and conniving. Even though this episode "introduces" Diane, she appears in the earlier "Sunday School."